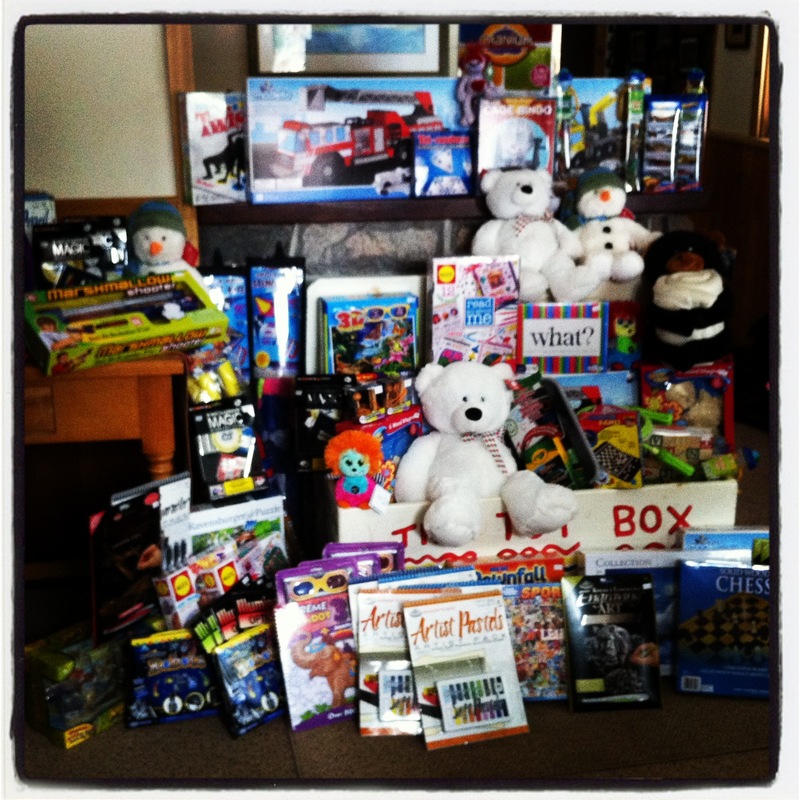 I initiated a Toy Drive at the Lodge where I work and this is the first year I have taken on such an enterprise. Shamrock Lodge agreed to donate an off-season weekend for two as our way of saying thank you for donating to our toy drive. Family names who have donated to our cause will be entered for a chance to win and a name will be drawn on December 21st. 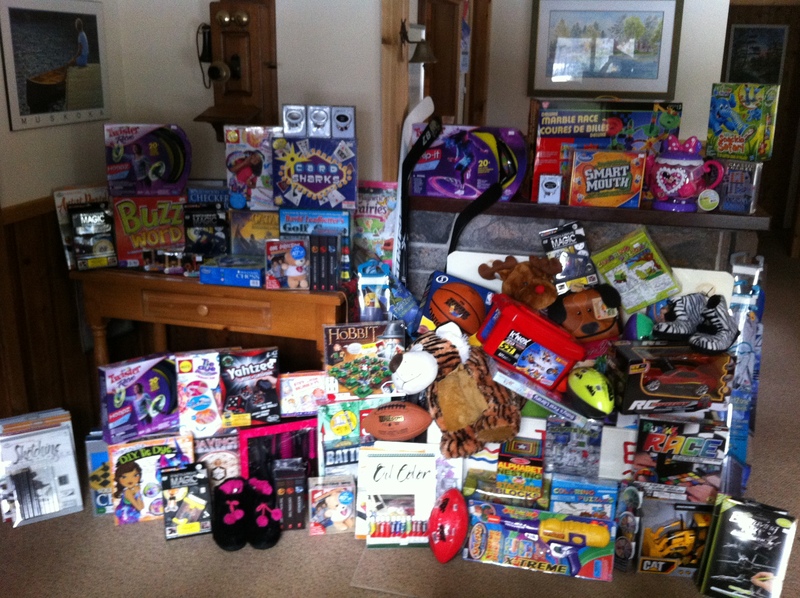 The first picture is round one of the toy drive which was overwhelming in itself. We delivered the first round of toys to the OPP Toy Drive last Saturday and made Natalie, the OPP officer, a bit weepy. Today I went shopping once again with the generous donations that continue to come in from all areas of our lives. Friends, family, hotel guests and local residents have gone above and beyond to help us with our toy drive and make sure every child has something under the tree this year. The next picture is only the beginning of round two. We are still collecting for another week and I am already excited about donning the Elf hat again and delivering the toys to their rightful destination so they can find their way into the hands and heart of a child. I will definitely be making this an annual event!! Have a great weekend everyone and when you are out shopping, be sure to pick up that one extra toy and donate it to a cause that wants every kid to have a Christmas! !